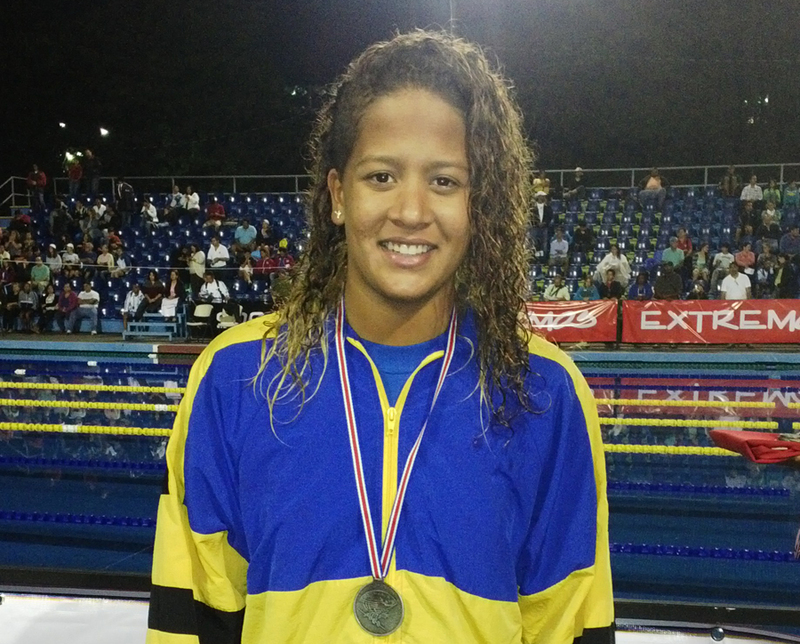 Team Barbados Rio 2016: Lani Cabrera (400m Freestyle) – Barbados Olympic Association Inc.
Lani got started swimming in 1996 after she was encouraged by her parents. Lani’s first year on the national team was when she competed at CARIFTA 2006 on home soil in Barbados where she was a distance finalist. In 2011 she attended the CAC Juniors in Mexico where she also competed in the distance freestyle events. This year at CISC in Bahamas, Lani won the silver medal in the 400m Freestyle and the bronze medal in the 800m Freestyle. Lani’s role model is none other than our very own Olympian Leah Martindale, her favourite color is grey, and her favourite artiste is Rihanna as that is the music she relaxes to. Her favourite movie to date is The Martian starring Matt Damon.